For all of us who are eager to see the new 5D Mark III (and possibly to get it in our hands :-) ), there is an unboxing video to look at (thanks to our reader Eddy). But, hey, there is another one I found (this time in English). To see all my EOS 5D Mark III coverage click here. To see more reviews, sample pictures and world-wide order option click here. Let me know what you think about Canon’s new full-frame camera. Infinitely wide horizons, cramped interiors or small objects in large surroundings – with the Distagon T* 2.8/15, all photographers can deliberately orchestrate extreme perspectives. With a field angle of 110°, the super wide angle is the ideal companion when it comes to capturing events in a way that makes them dynamic and extraordinary. Whether salt crystals or drops of water – its integrated lens shade and standard filter thread afford the front lens optimal protection from wind and weather. The technically impressive features of the Distagon T* 2,8/15 include extraordinary chromatic aberration correction and the prevention of color fringes caused by chromatic aberration almost without exception. Two aspheric lenses, special types of glass with exceptional partial dispersion and the floating elements design, guarantee high image quality from close-up to infinity. The Carl Zeiss T* anti-reflective coating and the advanced treatment of the lens edges with special dark black lacquers ensure insensitivity to reflections and stray light. And there is already a first review of a production model by our friend Chris Gampat over at thephoblographer. At the time of my writing this conclusion, I have spent quite a while with the lens. I’ve had a ton of fun with it. With that said though, I’m going to fire off a couple of quick remarks. First off, I would personally never shoot this wide. This lens is meant for architecture, landscapes, events and scenic shooting. If you’re out there making money from your landscapes and architecture, then I want to tell you to go search around the internet for pre-orders (ships in May), get your credit card in hand, and purchase this lens for $2,948.00. The build quality and image quality is spectacular. The fact that Zeiss was able to create such a lens with little vignetting, distortion, and yet maintain such remarkable sharpness is very praise-worthy in my eyes and on my calibrated screen. Like most Zeiss lenses, the color rendition is best when shot wide open. Thankfully the lens also has an AF confirmation chip; which makes it a true beaut. My only major complaint is there this lens lacks the bucketloads of micro-contrast that the other Zeiss lenses have that therefore make the subject in focus pop out of the image with a nearly 3D-like effect. Otherwise, it is a very large lens; but it has to be due to the design. In the end, I can only give this lens my highest recommendations to landscape and architecture photographers. But for me: who shoots portraits and events; the company has other options that are more attractive. 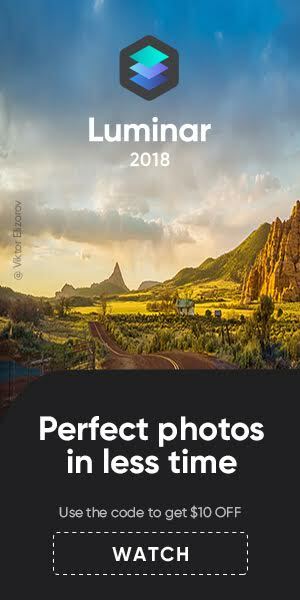 The review is truly worth to be read, and comes with lots of sample pics and a set of samples that cover the aperture range of the lens. 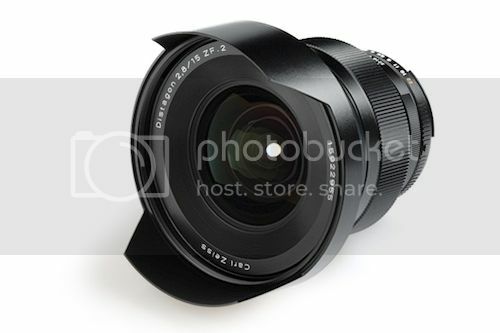 Carl Zeiss brings out a new super wide angle lens in May 2012. 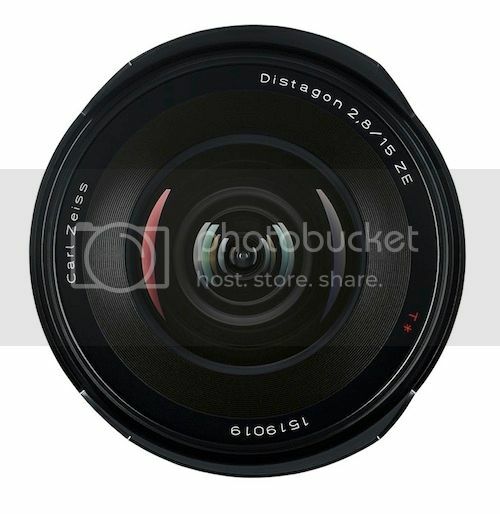 The super wide angle Distagon T* 2,8/15 will be available with an EF (ZE) or F bayonet (ZF.2). With an extra-large angle of view of 110 degrees in combination with a fast f/2.8 aperture, the lens enables the features for dramatic perspectives and performance demanded by the most ambitious landscape and architectural photographers. 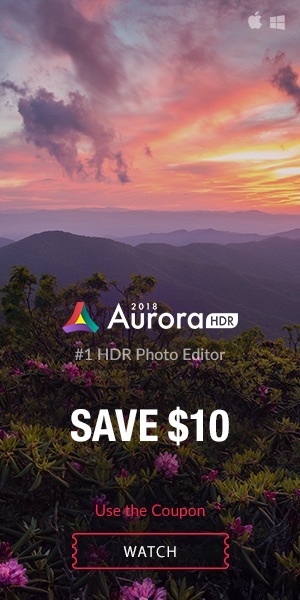 With a unique ability to capture events in a natural and extraordinary manner, it is also an ideal companion for advertising, journalism and commercial photography. The Distagon T* 2,8/15 incorporates two aspheric lenses and special types of glass material with abnormal partial dispersion to provide an extraordinary correction of chromatic aberration. 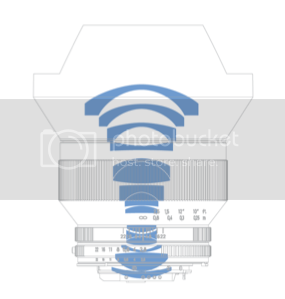 A floating elements design guarantees high image quality from close-focus through infinity. Like the other SLR lenses in the ZE and ZF.2 series, stray light and reflections are well controlled by the Carl Zeiss T* anti-reflective coating and the sophisticated treatment of the lens element edges with special light absorbing paint. The robust all-metal barrel of the Distagon T* 2,8/15 is designed for decades of reliable service. A long focus rotation and buttery-smooth action is perfect for photographers who want to take control of their picture making, as well as for filmmakers looking for superior focus control. A nine blade aperture provides a nearly circular opening, producing natural looking out of focus details. The lens shade is integrated into the design and helps to protect the lens surface from unintentional damage. The 95mm filter thread accepts all standard filters, including the recently released Carl Zeiss T* UV and POL filters. 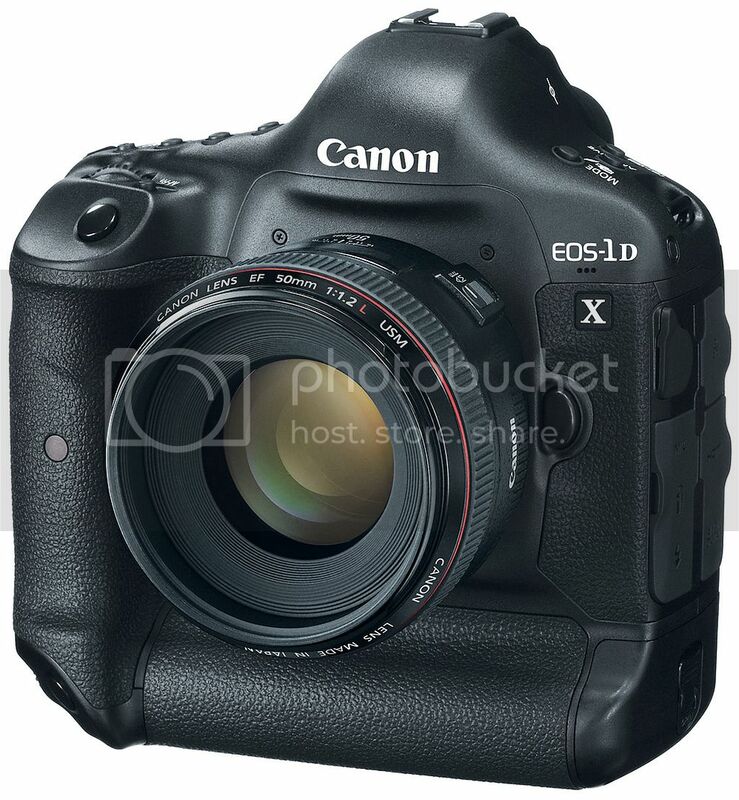 The lens will begin shipping in May 2012 at a recommended retail price of €2,148 or US$2,948 (excluding VAT)*. Hold on all you pixel-peepers out there (myself included). I found some useful (at least I think) samples shot with Canon’s EOS 5D Mark III. The interesting thing: these are all nightshots, and they are also crops. Different ISO settings are covered. You can see and analyze the pictures here. For more important information about the EOS 5D Mark III (and world-wide order and pre-order options) click here. To see all of my EOS 5D Mark III coverage click here. 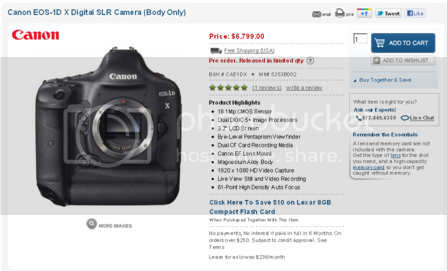 Right now B&H told me that they have the Canon EOS 1D X ready for pre-order (click here). Price is $6,799 and it will start shipping by the end of April. CPN (Canon Professional Network) has a good article about Frits van Eldik shooting an F1 event with a EOS 1D X. Have a look here to read about the technical specifications of Canon’s next flagship, or read this to get more insight. Canon’s 1D X page is still a work in progress (no manual for download yet), but for sure worth to have a look. The guys over at techradar (video above) have a hands-on review with lots of details (click here to read). Another hands-on os provided by imaging-resource. And, hey!, even Wikipedia has an entry for the 1D X :-). The video comes from Canon France and it’s called Eye of the mind. It was made to show the color capturing capabilities of the EOS 5D Mark III. One last thing: March 22 has been confirmed to be the first shipping date. New reviews for you. For Canon G1 X sample pics click here. Note that I will no longer post links to forum posts with sample images. Since the Powershot G1 X is now available, there is an increasing number of pics that appear on on Flickr (click here). 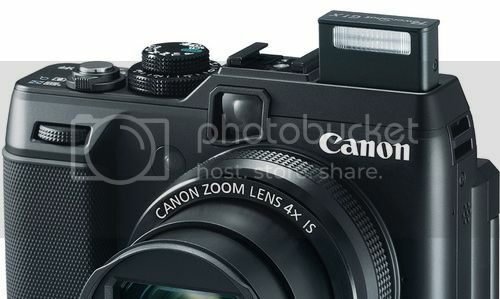 The Canon Powershot G1 X is an interesting camera, simply because it has a large 14.3 megapixel CMOS sensor that is capable of producing high quality images with lots of detail. ISO noise performance is impressive with low noise right up to high ISO settings. if you’ve got $800 burning a hole in your pocket and want a semi-compact camera with D-SLR image quality, then look no further than the Canon PowerShot G1 X. So overall, I’m really excited to start using this camera more. And keep an eye out because my videos will be filmed with this camera from now on, too! For more G1 X pictures click here. 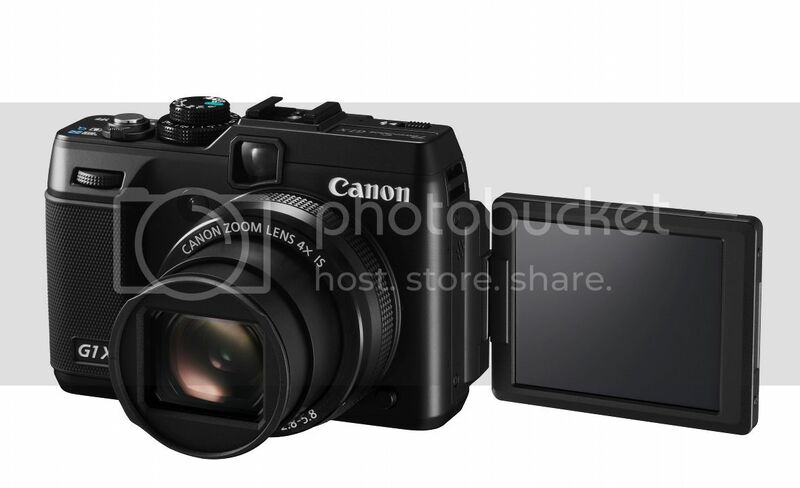 Canon Powershot G1 Xprice check: Amazon, B&H Photo, Digitalrev, eBay, Adorama, KEH Camera, Canon USA Check also our eBay live-ticker below for possible G1 X deals.